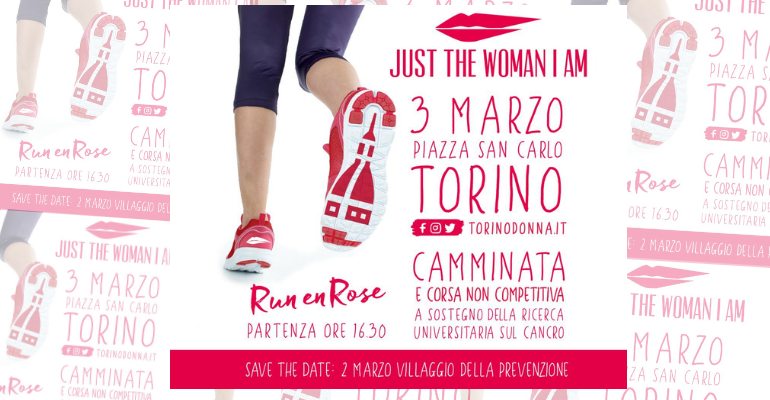 JUST THE WOMAN I AM: on Sunday 3rd March 2019 a pink run will take place! Home/Events/JUST THE WOMAN I AM: on Sunday 3rd March 2019 a pink run will take place! You can now sign in for #JustTheWomanIAm! The event, which will take place for the 6th time, gained popularity all over Piedmont. University education and research, physical activity and nutrition are the key words of Just The Woman I Am. Gender equality is one of the main theme of this event, but it is not the only one! University sport is once again at the forefront, with the aim of communicating its educational values of prevention and safeguard of health. Thanks to its aggregative component, the run wants to raise the awareness of the public opinion and fight gender violence. To sustain concretely university research, you can sign up for the 6-km run/walk; it is not important the result, but being there. The program of the 3rd March is very rich: there won’t be only the run, but also other events (not only related to sports). You can sign in starting from Monday 12th November. For further information visit: www.torinodonna.it. In addition, like every year, you can personalize your bib by 10th February 2019.